Martin Architecture and Design Workshop (MADWORKSHOP) recently unveiled Sanke, an installation of custom public furniture designed by Sonia Lui, currently a fellow at the foundation. 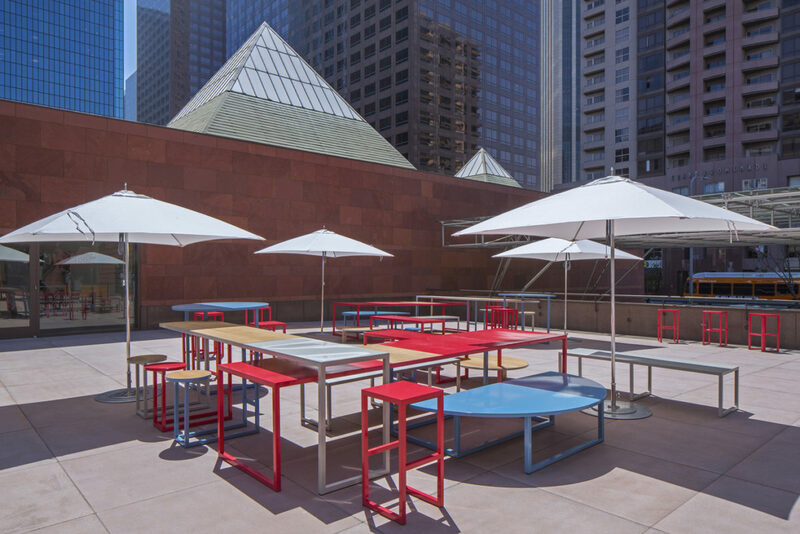 The installation is located in the courtyard of the Museum of Contemporary Art in Los Angeles, designed in 1986 by Arata Isozaki. 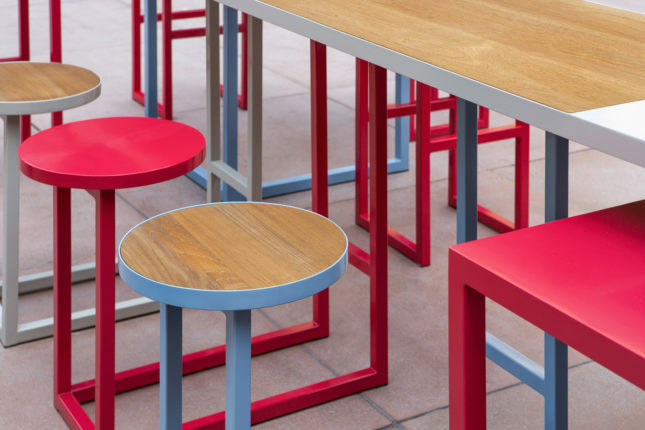 Lui developed the Sanke concept while she was a student in a summer 2015 studio—called Re-Defining Public Furniture & Fixtures Design—that MADWORKSHOP founders David Martin, formerly atAC Martin, and Mary Martin sponsored at the Art Center College of Design. 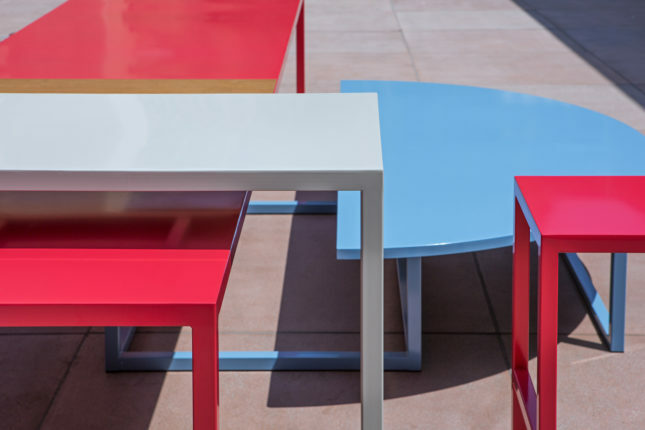 The project was chosen out of six other student schemes to be fabricated for MOCA’s courtyard and to potentially become a mass-produced furniture line. The foundation mentored Lui through the design and fabrication process of her multi-level communal seating system. Sanke includes fixed outdoor tables and seating for 10 to 12 people. Its closely-packed smattering of brightly colored chairs and tables are sized at varying heights for differing age groups and uses. 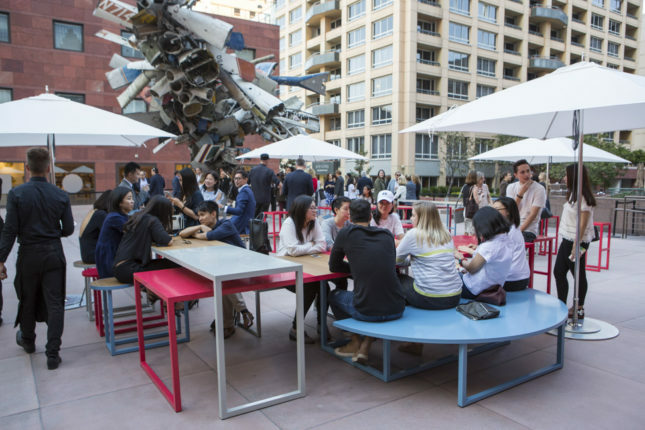 The project is designed to encourage human interaction among luncheon crowds of local workers, business people, and tourists who use the courtyards along Grand Avenue. 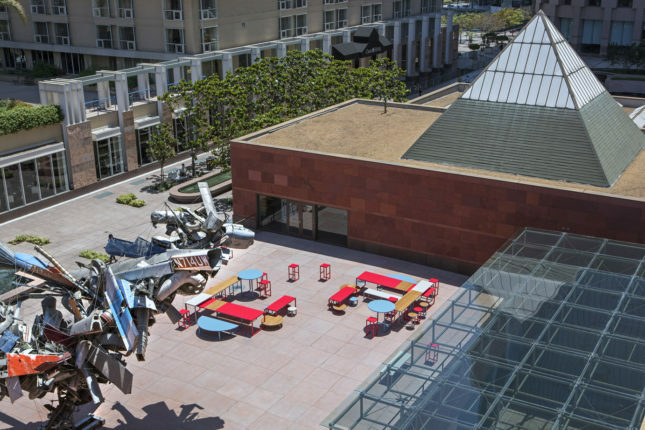 With busy tourist and leisure destinations like the Disney Concert Hall and Broad Museum just across the street and down the block, the installation will likely be a welcome addition to the large, open courtyard space.